At both of my Boden parties, this was the out and out best seller. To the extent that I see 3 of my friends regularly wearing theirs. Thankfully all in different colours - so you'd never guess it was the same coat actually. 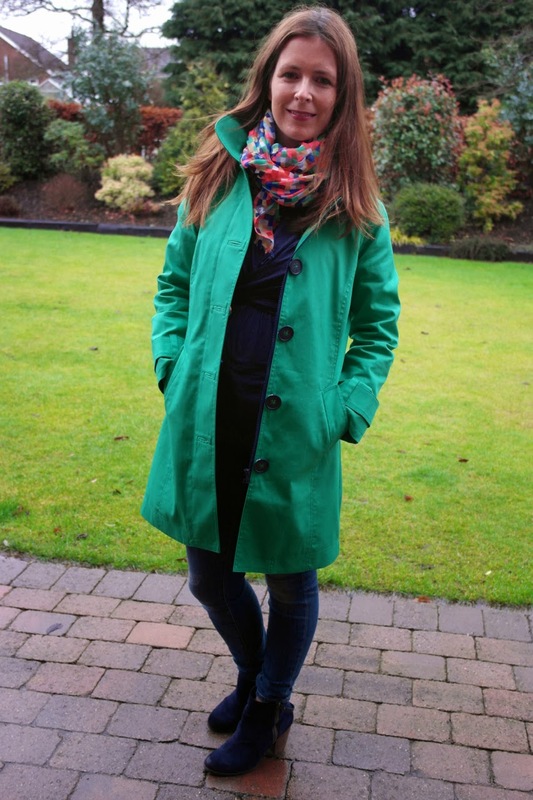 And that's the great thing about the Rainy Day Mac - it's such a classic item, it never goes out of fashion. And here's where I get to indulge a colour I love (but my husband doesn't) - green. It's a colour that suits me and that I used to wear lots of but a lack of enthusiasm from Mr SGS has made me reluctant to buy it much. But this colour in the Rainy Day Mac just called to me AND I knew it would work a treat with both of my square scarves from the shop. 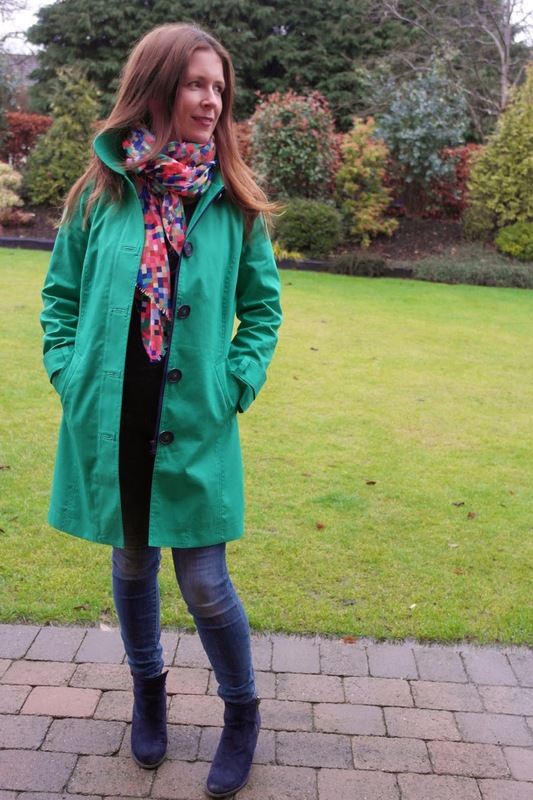 The key to wearing a strong coloured coat like this is to tone down the rest of your outfit so I'm wearing navy and denim underneath in the first few photos. 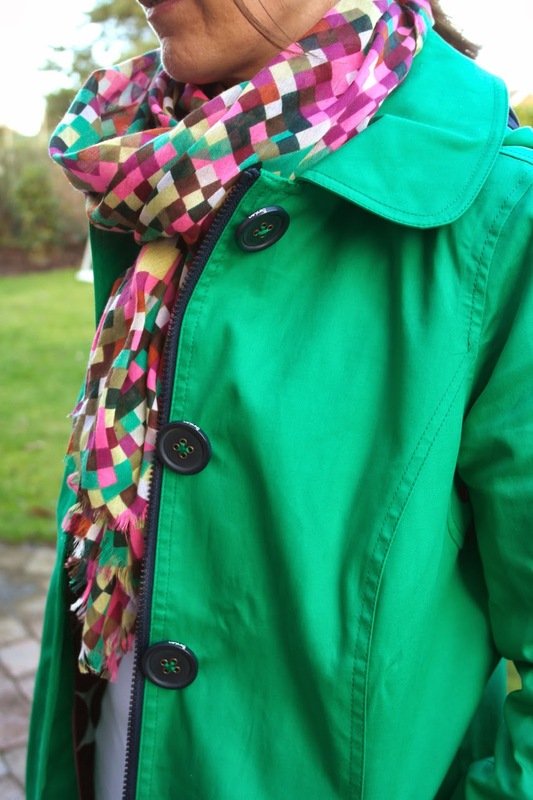 Loving how well it works with both the Harlequin and the Neon Squares Scarves from the shop. I'd not really noticed they had that shade of green in both. 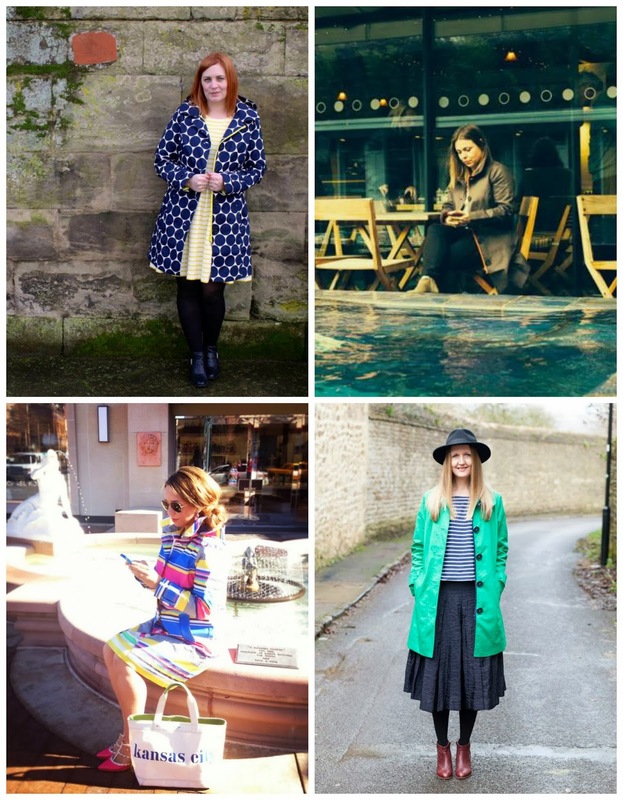 You can check out some of the other bloggers involved on the Boden Facebook page -simply gorgeous photos and it's great to see the other colours in the coat being modelled too. Oh and don't forget to enter the competition to win one in your choice of colour click on this link! This is first time I seen your blog. I'm hooked. I've been struggling with style and had almost given up which hasn't done much for self confidence. I live aboard in Switzerland (I'm australian) with 2 little girls. Your blog has given me great simple ideas and hope I can look and feel better again. 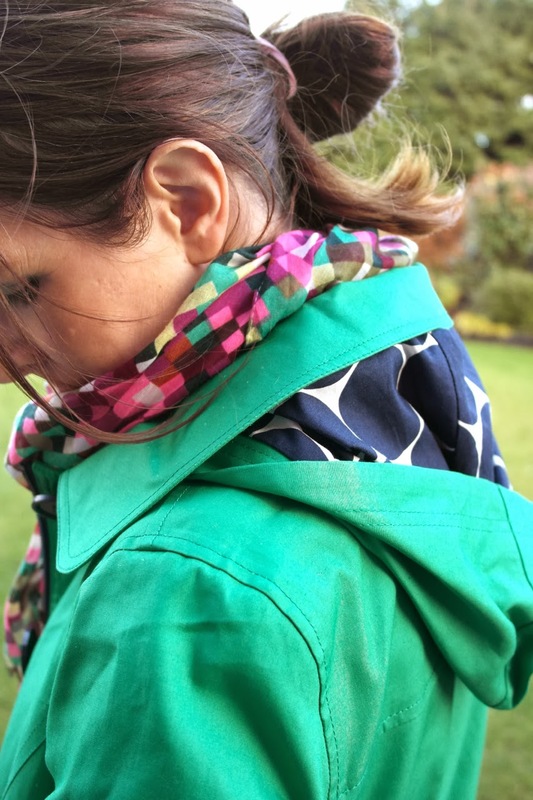 Now I need to find this boden site and hope they ship to Switzerland I love the jacket! The green is gorgeous with your hair! Love it! That is the perfect coat for me - it's my favourite colour ever! It looks super with the scarf. Have you worn it in the rain though? I had the rainy day mac a couple of years ago and after ten minutes of light rain my shoulders were soaked. 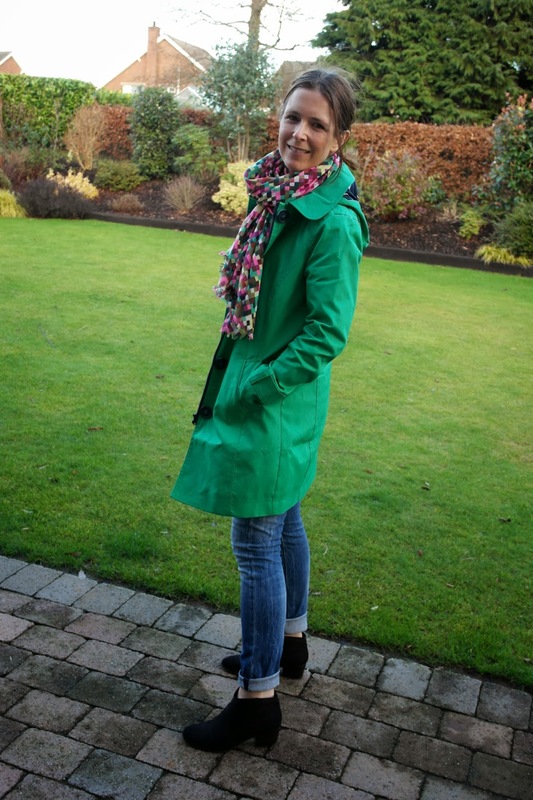 I loved the coat, but eventually had to admit defeat and buy a real rain coat! I know they've upped their game recently, but I can't help but still fear Boden. That is a very cute coat. 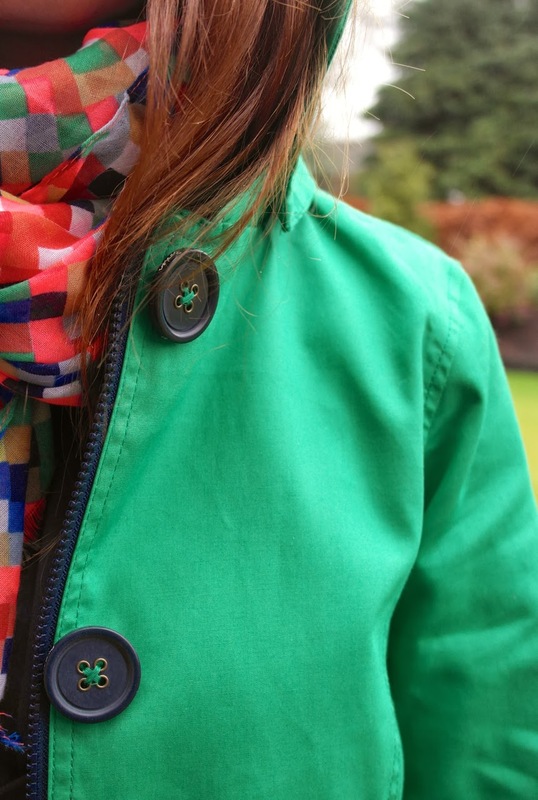 My neighbour has a green Boden mac and I've always admired it on her. I actually tried to enter the competition but *stamps foot in annoyance* it's not open to those of us in the Rep of Ireland. Gah! The scarf/coat colour combination is fabulous! I'm an IN Magazine Glamour Awards Finalist!